From a technical standpoint, not too many MCs have the lyrical versatility of Kool G Rap. The godfather of Mafioso rap has been on hiatus for most of the decade, having just one full-length release back in 2011. But he’s back with the aptly titled Return of the Don to fully command his lane once again. Scored in its entirety by Canadian producer MoSS (credits include nearly every name brand MC in the Tri-State area of the past five years), Return of the Don also employs the talents of Raekwon, Freeway, Noreaga, Fred The Godson, Cormega, Sheek Louch, Saigon, Termanology, Fame, KXNG Crooked, Conway The Machine & Westside Gunn (the newest signees to Eminem’s Shady Records) and the late, great Sean Price. The HipHopDX offices will be rocking to this album for the next couple of weeks ahead of its June 2, 2017 release date so check down below for the cover art and full tracklist and mark your calendar for the live album stream. 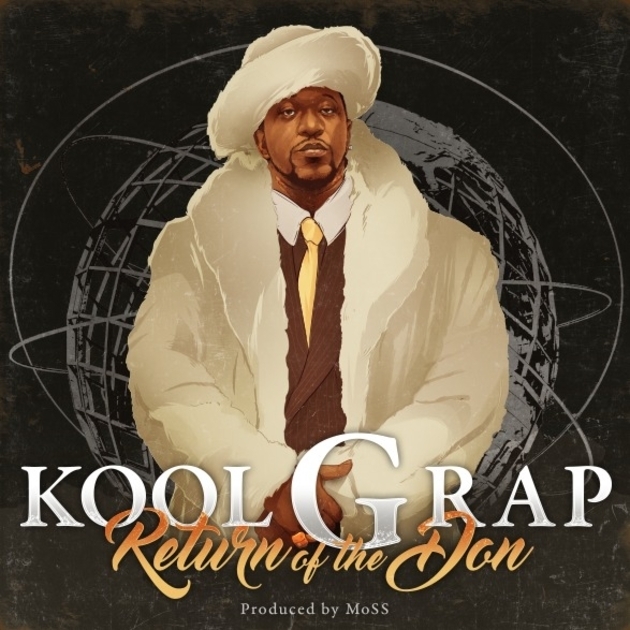 Share the post "Kool G Rap Prepping “Return Of The Don” Album Produced Entirely By MoSS"